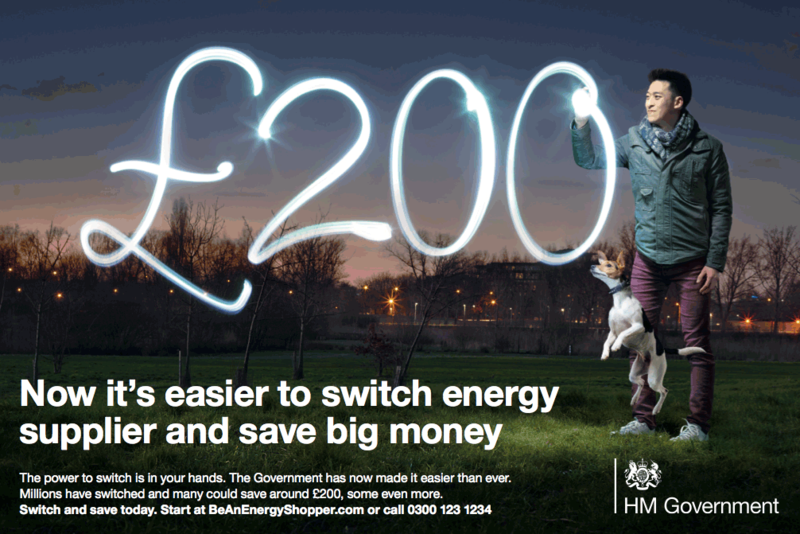 More than £38 million was saved by 130,000 households switching energy supplier – in just one month of DECC’s Power to Switch’ campaign. Figures based on data provided by 8 Ofgem accredited price comparison websites and aggregated to protect commercial sensitivity. Data gathered between 16 February 2015 and 16 March 2015, inclusive. The ‘Power to Switch’ campaign launched on Monday 16 February 2015 and advertising went live on Thursday 19 February. The campaign has run in England, Scotland and Wales. Ofgem has recently strengthened its Confidence Code for price comparison websites, setting tighter standards on how tariffs are displayed with websites given until the end of March to comply. 8 of the 11 price comparison websites accredited under Ofgem’s Confidence Code have already made the changes required under the strengthened Code.